bottom-line. Dubbed as the “founder” of photocopying for the masses, the term “Xerox” became synonymous with photocopying; so much so, that the company spent significant marketing capital to preserve its mark and stressed that “…you cannot 'xerox' a document, but you can copy it on a Xerox Brand copying machine". Similarly, “Airbnb” has become synonymous with short-term rental (STR), and the hotel industry is understandably upset with its popularity. Since its founding just a decade ago, Airbnb has facilitated over three hundred million check-ins worldwide; however, this feat has not come without a hefty price, via lawsuits and lobbying efforts. 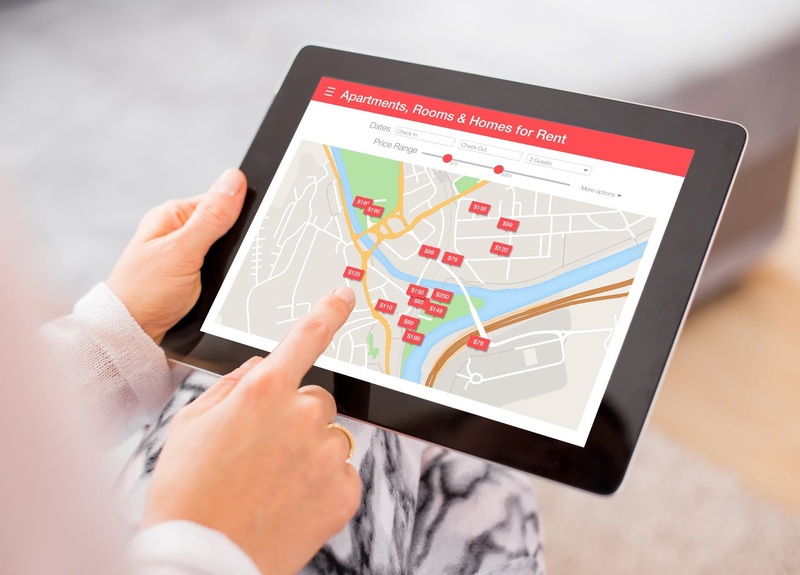 Nonetheless, despite significant opposition from hotel companies, municipalities, and rental housing providers (to name a few…), STR platforms continue to flaunt billions in revenue, and the STR industry only seems to be gaining momentum. Accordingly, governments and critics (primarily the hotel industry) throughout the country are negotiating with STR proponents to enact laws that address the concerns of each side. From a user’s prospective there is a huge benefit in: a guest being able to rent another’s residence on a short term basis while visiting a particular area/city; and a host’s ability to offset their overhead/expenses by renting their home when they are not using same. However, who is responsible when there is a disturbance or damage caused by one of the guest’s (or by the guest’s guest); and are the users thoroughly screened (i.e. identity, criminal history, etc.) by the STR company (Airbnb, Homeaway, VRBO, FlipKey, etc.)? Also, who should the guest contact or complain to if/when there is a problem with the dwelling, and it is located in an apartment building or condominium association? Finally, is the rent collected by the host considered income/taxable? These are just a few of the questions for hosts, guests, neighbors, politicians, and enforcement officers to consider. In Massachusetts, it is imperative for landlords and HOAs to be cognizant of their tenants’/unit owners’ expectations. Often times, transients are not what tenants or unit owners expect to have as their neighbors in their residential developments. Furthermore, most tenants expect a higher level of security in large(r) apartment communities whereby their landlord (or its managing agent) is reviewing and monitoring everyone that comes onto the property grounds (i.e. common area pool, fitness gym, community rooms, etc.). Tenants also typically assume that their neighbors will remain as such for at least one year. As all practitioners in the landlord/tenant realm know, nearly every lease contains rules and regulations that are meant to limit a tenant’s (and their guest(s)’s) conduct that could interfere with other residents’ rights to quiet enjoyment. In the HOA setting, constituent documents often restrict and regulate an owner’s ability to rent out their unit; and FHA financing for condominiums requires a percentage of the units to be owner-occupied. Accordingly, practitioners must consider the effects of STRs when advising their clients about permitting/prohibiting same. Last July, after several months of conferencing, a joint committee of state legislators came to a compromise between the Senate’s and House’s proposed bills for the regulation of STRs; however, the compromise (House, No. 4841) was short lived when, on August 1, 2018, Governor Baker refused to sign off, and returned the bill with various proposed amendments. Some of the governor’s noteworthy changes include: an outright exemption for homeowners that rent out their units for fewer than fourteen (14) days in a year; the definition of a short term rental (specifically, the minimum number of days in a year that would classify/warrant designation as a “short term rental”); as well as a limitation on the amount of information to be made available in the legislature’s proposed public registry. Currently, the status of the state’s STR bill remains in limbo as we enter the informal session. Regardless of the state’s present inability to pass a bill dealing with the taxation, regulation, and insuring of STRs, most municipalities have enacted ordinances to limit STRs in some fashion. For example, the City of Boston’s Ordinance Allowing Short-Term Residential Rentals defines a STR as the rental of a residential unit for a period fewer than 28 consecutive calendar days, limits the definition of an operator to a “natural person who is the owner of the Residential Unit” (a tenant cannot engage in the short term rental of their apartment), and requires the operator to certify that offering their dwelling for STR does not violate applicable condominium documents, bylaws, or other governing documents. Owners are also required to (this is not a complete list of requirements): register their units; ensure compliance with building, sanitary, zoning, fire code(s), as well as any other requirements, laws, or regulations; provide notice to abutters of their residential unit being registered as a STR; pay an annual registration fee (varies by type of STR); and retain records for three (3) years, evidencing the number of month’s the operator has resided or will reside in the unit, as well as the number of days the unit was offered as a STR. In Cambridge, STRs are defined as the rental of a residential unit for a period up to thirty (30) days but, contrastingly to Boston, allows a tenant/leaseholder to offer their units for STR. Registration is required, as well as compliance with building sanitary, zoning, fire code(s), as well as any other requirements, laws, or regulations – and constituent documents (if applicable). In Lynnfield, following a murder at a mansion that was rented on a short term basis for a large party, the town passed an ordinance prohibiting STRs altogether. As practitioners and counselors, we need to be aware of local ordinances (and updates in the state’s efforts) when advising our clients about the risks and rewards of STRs. While change is certainly in the air…landlords and HOAs should carefully consider allowing, prohibiting, and/or monitoring “airbnbs”. Ted Papadopoulos is a partner at Ashton Law, P.C and focuses his practice in the representation of management companies and property owners in various landlord-tenant, as well as general real estate related matters. Ted can be contacted by email at esp@ashton-law.com.